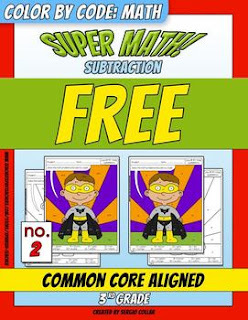 With this puzzle students will have fun at the same time as they subtract within 100. I include the puzzle in black and white. I also include a full color version of the puzzle. In order to suit everybody´s needs I also include the answer key in black and white, and in color too. That makes a total of 4 pages.